Prehistoric skeleton: Titanothere (Thunderbeast), Brontops, Early Oligocene, 35 million years ago, from White River Group, Colorado. 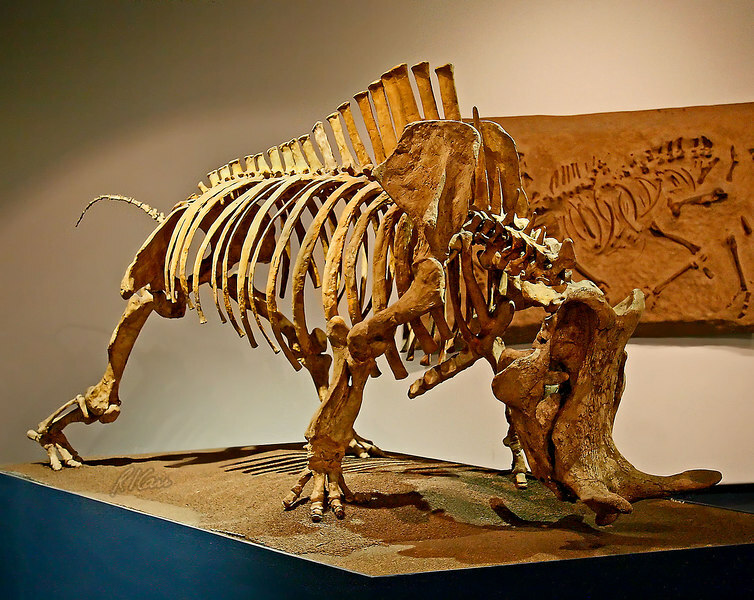 Extinct family of rhinoceros-like animals that roamed both North America and Asia. Horns of bone vs rhinoceros horns of hair. Los Angeles Museum of Natural History, January 2006.